Options, lease options, sandwich options and management agreements. You may have heard about these from a friend, a colleague or even me! It is the answer to all your dreams…..well kind of anyway. If used properly you can make money. A lot of it. Especially if we see a boom in prices over the next 5 years or so. So first I must define what these things are before I go on about how great they are. You will soon see what I am talking about. I am going to start with options as opposed to lease options and sandwich options which is further on in this course as this is the most simplest and an excellent place to start. An option is exactly that. It is a legal document that gives you the option to buy a property at a set price within a set period of time. That’s it. Let me show you some examples. 5 London Road You can buy this property for £250,000 if you complete by 1st January 2011. 12 Acacia Avenue You can buy this property for £200,000 if you complete by12th December 2015. 4 Jones St You can buy this property for £55,000 if you complete by the 30th June 2020.
the period which can be a date or a period amount of time from the date of signing. Please note you never have to buy the property. It only gives you the right to buy (but not the obligation) this property within the time period. Think of these as the 2Ps of options or think of a 2 pence coin as soon as the word option is mentioned. The 2Ps are everything when it comes to options. If the Price is good and the Period is good then you have a very valuable option. If the Price is bad and the Period is bad then you have a worthless option. So what is a good price, bad price, good period and bad period? Well you have to look at the both together as they are correlated to determine whether you have a valuable option. I want you to have a think about what a valuable option would look like. I am hoping my explanations above will give you a clue to the answers as it seems obvious to me. It might explain why you can “buy a house for a £1”!!!! You can remember that can’t you? You want to have the price of the property bought as cheaply as possible (no surprise there!) and you want to be able to do that over the longest period of time. That is where the negotiation comes in. A property has a market value today of £100k. You find a seller who will grant you an option to buy this property in 5 years time for £110k. And the Period is 5 years. The Property’s price will rise in excess of £110k over the next 5 years or not. This is the key question you have to ask yourself. If you say I don’t know then this is a good answer! No one knows. £150k - £110k = £40k. So the option can make you a good return if you can keep the exercise price as low as possible and the period for as long as possible. Or decrease the exercise price AND increase the period to 6 years. All of these things will increase the value of the option. The key point to note is the option still may be worthless. The reason being no one knows what the property prices are going to be like next year, the year after or the year after that! So if after a 5 year period property prices have declined and the property is now worth £90k then the option to buy at £110k is worthless. You would simply offer market value of £90k. So I hope you can see that valuing an option is not an easy thing. It largely depends on where you think property prices are going to be. The longer the period you set the more assurity you have that prices are going to rise as property prices rise in the long term. A typical property cycle lasts around 10-15 years so you have to say if you had an option for 15 years and property prices were currently on the line of the long term average you would be assured the long term average rate (2.9% p.a.) of property price inflation. What would you pay for an option to buy a property for £110k within a 5 year period that is currently worth £100k? Now let me tell you the owner of the property is going to want something off you. The owner is not going to give you the option for free! And then you will get the value of an option! Sounds tough doesn’t it? However let me remind you that the options game is very risky. All you own is the option. You do not own the property. Once the period expires and you haven’t exercised your option then anything you paid for the option is lost. An option is a bit of paper and it only comes to value when you exercise it (assuming that it is worthwhile). So bear with me. If you want to get good at this you have to apply those 4 steps above so you can be sure you will make some money. So lets take the example of an option of £110k in 5 years on a property worth £100k today. Now you have to apply a risk multiplier to this. As this £30,055 is not money in the bank and in no way guaranteed. So you have to multiply this by a suitable percentage. Now if you are looking to me for this percentage then you would be mistaken! This is your call. Lets just say you was 100% sure of this profit. Then an asking price of anything less than £30,055 would mean you would profit. If you were less than 100% sure then you have to decide what you want to pay for it. Whatever you paid for it you would deduct from the £30,055 and this would give you the profit from the option. Now if I were getting in to this game I would be extremely pessimistic. Only pay for an option what you are prepared to lose. It is a form of gambling in a strange kind of way unless you get a really long period where the volatility is evened out and the price is within the long term average. If you paid 10% of the expected profit for an option you could not argue that was an unfair bid. So in the above example a fee of £3,005 (10% of £30,055) for the option would be a fair price if I thought the property would be worth £150k in 5 years time. The good thing is you can exercise your option anytime within those 5 years. So if there was a mini boom after 1 year you could make around £35k less the price paid for the option. Not bad for shuffling a few bits of paper about. advertising offline in newspapers (local and national) – this can be an expensive way of doing things but can be very rewarding if you get it right. I know of some traders who spend £50,000 per month on advertising but I know it is worth their while. leaflet dropping – you can get 5000 leaflets for £50. so if you can be bothered to do the rounds or trust someone to do it for you and it is well targeted you could see some good leads generated by this method. advertising online – this is a steep learning curve. I will be sending you my book “How to make a fortune on the internet” which will teach you how to create and promote a website for maximum profit. That is in a few days time. There are businesses that do all of the above and generate their own leads. They are one man bands right up to mini corporations! Now they have leads that they may not want, do not meet their strict pricing criteria or simply out of their region where they buy. You can approach these businesses and ask for their leads and do a kind of a joint venture. You can offer them a fixed fee or a percentage of purchase price of any deals you do. I am relying on your business savvy here so do your best! There are companies out there like mentioned before whose sole business is to geerate leads for people like YOU. They will want anywhere between £25 right up to £200 depending on the lead quality. This could be an excellent way to get in to options without investing too much time. If you find that you have the knack for it you could then start generating your own leads. You can approach estate agents and ask them if they would be interested in putting offers on your behalf. If an option sale is agreed you will pay their estate agency fees and an option fee to the owner. As long as you set the price and the period right then covering the estate agency fees should not be a problem. So highlighting this point to the vendor may be quite persuasive to get the deal signed. If they are in financial difficulty then you could be the person who has come along and saved them from repossession. Options are a new thing. Most investors do not know how they work. Even fewer owners of properties know about them. You could spend an evening with them explaining how they work or you could give them a copy of this report! Whatever you do you have to bring them up to speed. They are naturally going to be sceptical. You may want to offer they seek legal advice which you will pay for if they go forward with the deal. Then there is no risk on their part. Just make sure you send them to a solicitor who understands options! The deal can be done quick. There are no surveyors, lenders or solicitors (if you choose) involved. Just a few simple searches (title and environmental), registering the option with the land registry and a signature and the deal is done. The vendor may be worried that they might change their mind and not want to sell. The vendor does not have to sell. They can buy their way out of the deal at a mutually agreed price. You could agree this break clause fee and make it part of the contract. The whole strategy to make money by being an option trader is to buy and SELL options. If you buy right then you will make money. There is a ready and growing market for options so as long as you are not greedy you will be able to make regular and consistent profits. The end user is someone who wishes to live in the property and the trader is someone who wants to make money from the transaction and either sell it on or exercise the option at some point in the future. The way you find the buyers are very different. When you are trying to sell to the end user they must find you. When you are trying to sell to a trader you must find them. Options are a relatively new thing. Estate agents do not understand them yet so even though they would be your obvious choice I think it will be a while before they start selling these options for you. Educate the reader about options – you can include this report within your website! Now this is not an easy step! It is a steep learning curve and there is too much to go in to here within this report. But do not worry I will be sending you my book “How to make a fortune on the internet” later in this series so you can start building and promoting a website sooner than you think! For those of you who want the easier option (pardon the pun!) then why not consider selling to another trader….. If you want to avoid having to educate people about options you consider selling to another trader. They may simply may buy your option straight off you making you a nice profit or they might ask to market your option to their database of clients and charge the client a sourcing fee. We do the latter. If you want to sell an option just give on of my team a call on 0870 990 3205. This is a do nothing strategy. If the value of the property is not in excess of the option price then the option is worthless. You will struggle to sell it as people who buy options are not mugs! If you did not pay a lot for the option (like £1) then its no big deal. You risked £1 and got nothing back. I think we can all live with that. If you paid more than £1 then unfortunately you have to put it down to experience. You got the market wrong. Next time try and make the period longer or the price lower. Please remember what I said earlier about getting value from an option. You have to make the price low and the period long. If the option price is lower than the value of the property then you should consider exercising the option. 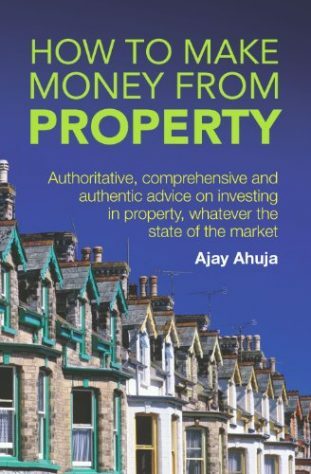 You can buy the property and then sell it to realise your profit (being the value less the option price less fees). To exercise the option you must serve notice to the owner and complete within 28 days. I suggest you get your mortgage in place before you serve notice so you can complete as agreed. Once you become the owner then there is no clock ticking away. You now own the property but you also own all the liabilities that come with it! I will assume you know about owning properties so I will not insult your intelligence here. There are occasions when the owner of the property disappears which means you cannot exercise you option. The way round this is to obtain power of attorney. A legal document called “A Lasting Power Of Attorney” needs to obtained and registered with the Office of the Public Guardian (OPG). Try and get someone who is on your side to be on this document. If the owner goes astray you can utilise this document with the person you have appointed as the power of attorney to exercise the option. If there is more than one owner of the property then each owner needs a power of attorney individually. I recommend you use a solicitor for all of this as it is important you get it exactly right. Trading in options is an excellent way to make a lot of money fast. If you are confident about which way the market is going (and you are right) then the only limiting factor is the amount of option fees you can pay. It is possible to have options on properties worth hundreds of thousands of pounds for a few thousand pounds. If you see a modest 25% growth in the next 5 years you could see astronomical returns on the small money you have outlaid.